Book a private airport transfer from your Bali hotel to the Denpasar International Airport and enjoy a hassle-free way to end your vacation! Your professional driver will meet you at your hotel and assist you with your luggage. Sit back and relax in the comfort of your private air-conditioned vehicle and leave the traffic to the driver, who will deliver you straight to the airport. 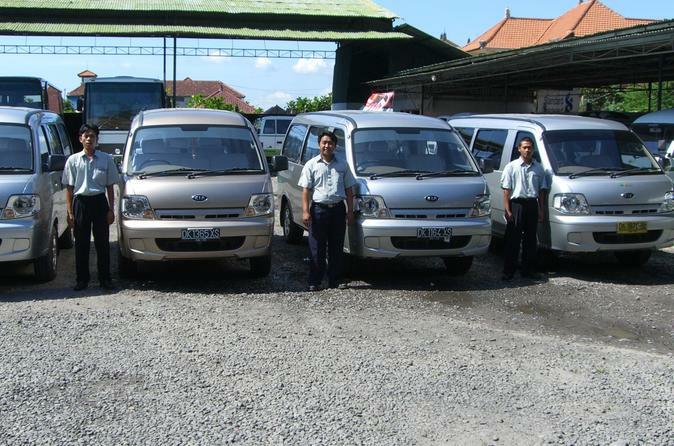 This transfer service operates to all hotels, resorts and villas in Kuta, Legian, Seminyak, Nusa Dua, Sanur, Uluwatu, Ubud, Canggu and Candidasa. When making a booking for this private departure transfer from your Bali hotel to the Denpasar airport, you will need to advise your flight details and your accommodation details. Your transfer will be confirmed at the time of booking, and you will be provided with a travel voucher to present to the driver. It's that easy!